Reminds me of the Volvo C30 from the side. This is how you ruin a good car by making it a "wagon"
I'm never a big fan of shooting brake designs, this doesn't make me change my mind. Love it in first sight, dislike it now! 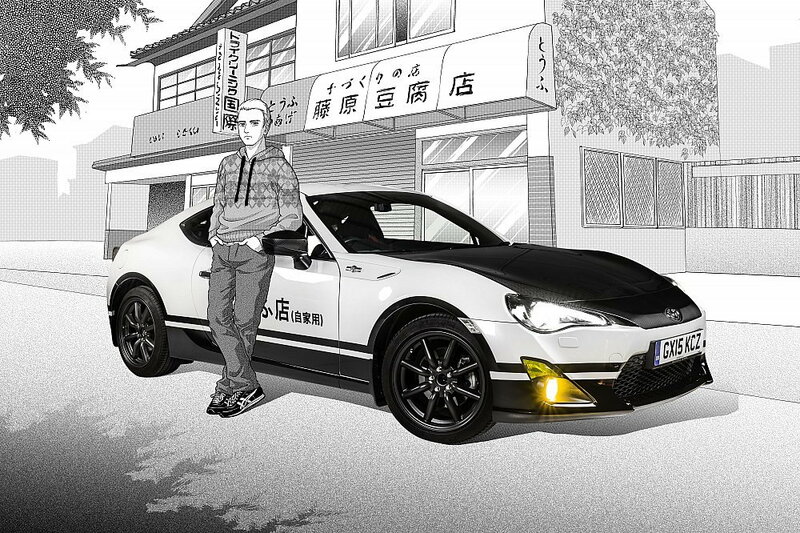 Inspired by the Initial D Japanese manga comic series, Toyota’s new GT86 project re-imagines the world-famous AE86 Corolla for a new generation. The Toyota GT86 Initial D concept will be attending motoring events around Britain throughout the summer. I like the wagon...looks like a mazdaspeed3. So, I was trying to get into one of these (2013 Scion FR-S) before I bought my current DD ('07 Acura TL base) in late February of this year, but it was just beyond my budget and tolerance for lack of utility. Still, I'm delighted to hear that Toyota decided to ditch the stock "eco-friendly/low rolling-resistance" Prius tires on the old FR-S in favor of regular Michelins for the 2017 Toyota rebadge. Now I'll just have to wait a few years for these to depreciate and become affordable for me. Enjoy. Former coworker has a BRZ, pretty much any time we had an office lunch, he'd toss me his keys. Fine for a daily if you have something else for the utility side. i'm surprised we don't already have a thread for this car.. Yumcha don't we? Yeah, I was a little surprised, too, that I didn't find an extant thread after using the search engine. If I missed it, feel free to merge, mods. We do, indeed have this thread. C/D dives in. Meh. 2017 Toyota 86--Bro, do you drift? Very glad Toyota didn't kill the 86, but also very glad that I didn't actually buy the 2013 example that I test drove back when I was in the market a few months ago. This point came to me as I was putting my foot to the floor and blasting past slower traffic in my TL earlier today. Last edited by nanxun; 05-26-2017 at 10:05 PM. It's a little disappointing neither Toyota nor Subaru want to seriously up the power in the 86. But, then again, I probably still wouldn't buy it. I thought that was discussed a while ago. this STi version is mainly suspension and cosmetic stuff.... nothing that we are really hoping for. Official announcement from SoA tomorrow. This is probably going to be the tS from Japan which has zero engine modification. 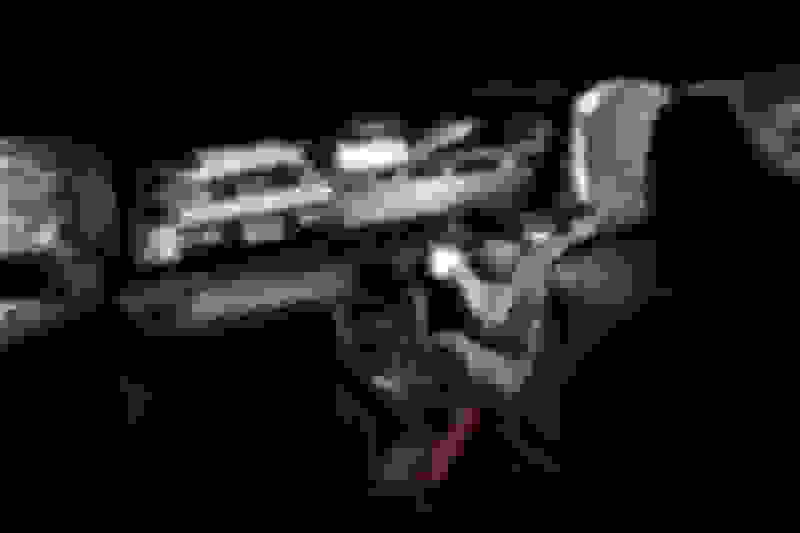 Just some aero and other dumb stuff added to. The big wang is such a bad idea too, it makes the car more understeery for the stock form. serious question, but how did that jdm brz tS compare to the limited/base brz in terms of handling? There was no head to head comparison to be had. It was a very limited run which had Michelin PSS, lip kit, suspension bushings and tweaks, and a GT wing in the back. The stock BRZ is slightly understeery than FRS with different damping. The general consensus for the GT wing on 86/BRZ is that it must be paired up with a front splitter along with stiffer coilovers with higher spring rate for the rear to work properly. I had the STi lip kit on my BRZ, it's a show mod, no go mod. The performance of the tS model was heavily skewed by the difference in tires. No engine modification other than the ones from the refresh. A special edition with better brakes, stickier tires, and a retro paint scheme. Most automotive nameplates can only dream of the kind of customer engagement that the Toyota 86(formerly the Scion FR-S) and its twin, the Subaru BRZ, have achieved. Case in point: Two of the dozen automotive journalists assembled for the reveal of the 86’s new TRD special edition drove their own personal 86s to the event, both of which featured mechanical and cosmetic modifications. Not to mention the innumerable lowered and bewinged examples that can be spotted in practically every American metropolis and many other places besides. But why let the customers do all the wrenching? 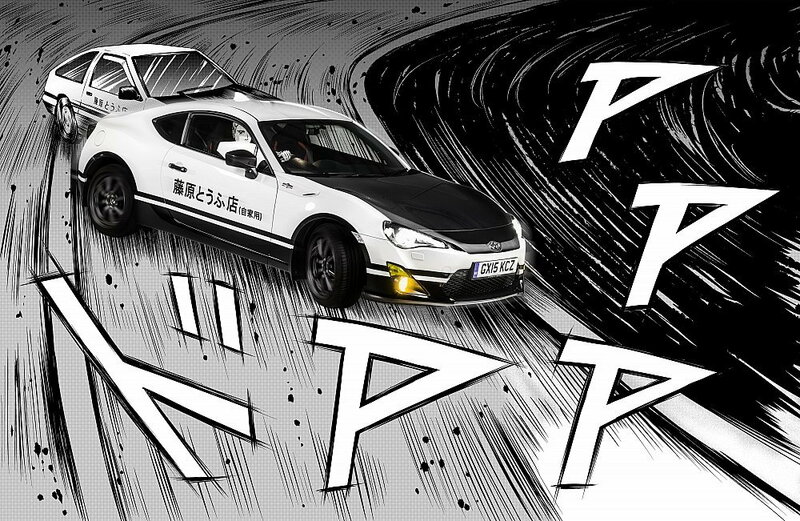 Toyota is getting in on the fun with the 2019 Toyota 86 TRD special edition. Standard summer tires, front and rear Brembo brakes, all the fun of the original plus a little more. Single available color scheme, limited run, most of this equipment is already available on the BRZ. 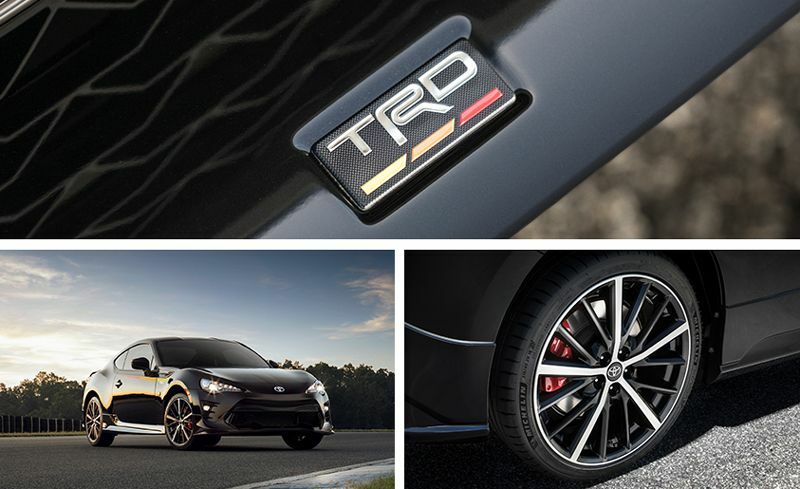 Limited to 1418 examples and seated on the top branch of the 86 family tree, the TRD shares its powertrain and basic chassis with its siblings but features a few significant equipment upgrades and several distinctive design elements. Let’s start with the equipment. By nabbing one of these manual-transmission-only $33,340 coupes, drivers will enjoy Sachs dampers, front and rear Brembo brakes, and standard 18-inch wheels wrapped in Michelin Pilot Sport 4 tires. 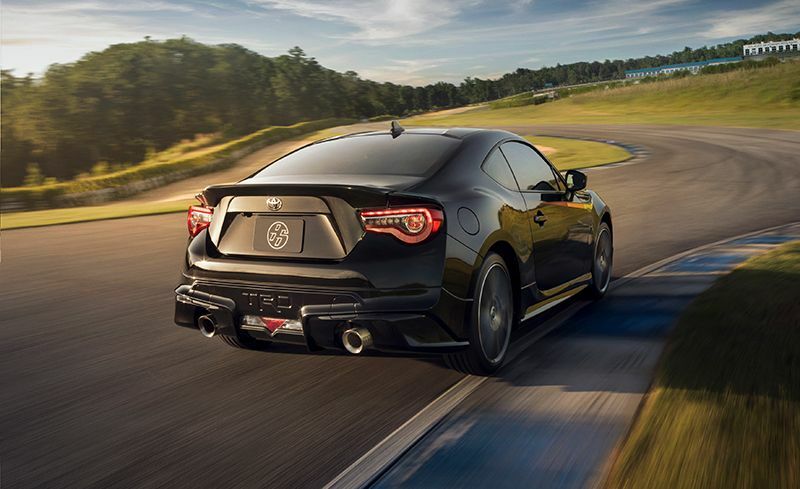 Never mind that the BRZ has been available with that damper and brake combination since 2017; Toyota assures us that its Sachs dampers have been tuned specifically for the car by the good people at Toyota Racing Development (TRD). Our experience with the 86 TRD was limited to a few laps on a short track with a few more laps of an 86 GT for the sake of comparison, so we’ll need to spend more time with—and test—the car to fully quantify this performance setup. But even in that short time, it’s clear that the changes have a real impact on the driving experience. Compared with the 86 GT, the TRD edition rolls less in corners and is less likely to be unsettled by braking inputs. The brakes feel firmer but are never grabby, and the Pilot Sport 4 tires keep the car firmly planted under aggressive driving. By comparison, the GT we drove felt looser, with more body motions, softer responses from the brakes, and a lot less stick. 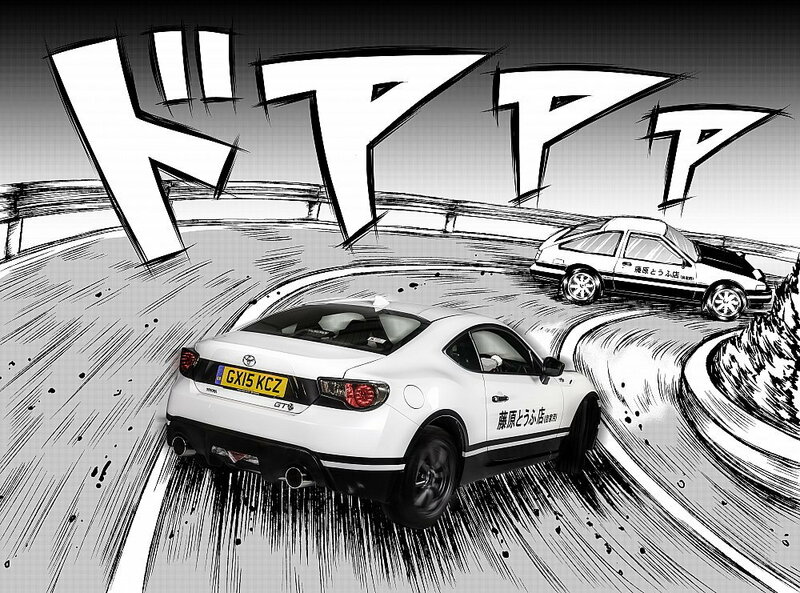 Toyota assembled a team of professional drift drivers to accompany us at the launch of this latest 86, and—unsurprisingly perhaps—all of them extolled the benefits of the TRD edition’s performance enhancements. But one conceded that the GT’s lower threshold makes it a little more pliable, easier to coax into a drift, and thus more fun in certain applications. Drifting is in our nature, he told us. We couldn’t disagree. The 86 GT may better capitalize on the joy of driving a slow car fast, but drivers who plan to autocross an 86 will be better served by the increased competence of the TRD model. It remains to be seen whether they will also be better served by its looks. 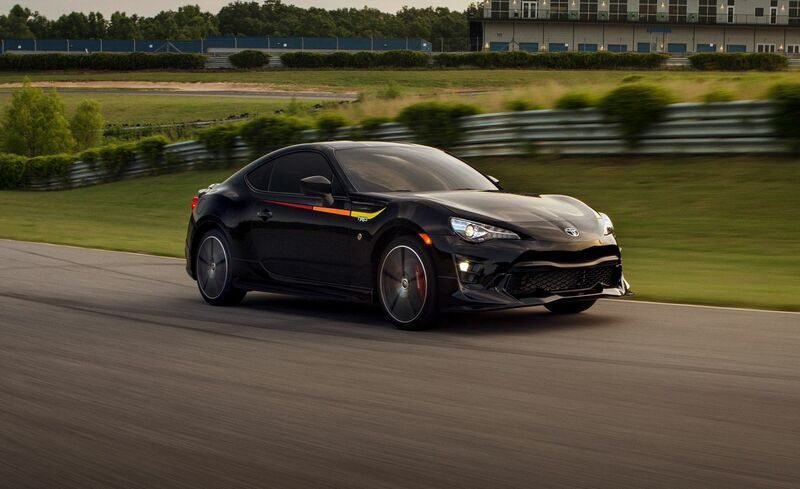 The 86 TRD is available only in black and adorned with yellow, orange, and red TRD graphics on both doors. A body kit for the front and rear bumpers and the side sills plus a modest three-piece spoiler make the TRD look just slightly more menacing than the stock 86. The interior is black, too, with bright-red accents on the seats, shifter, and steering wheel. The car is not unattractive, but when so many 86 owners customize their cars with unique paint jobs, bolt-on spoilers, and lowering kits, it’s easy to imagine some of them being disappointed that they won’t get to make any design decisions on the special-edition model. Multiple paint colors or no, we look forward to spending more time with the 86 TRD and measuring the impact of its special equipment on our tests. 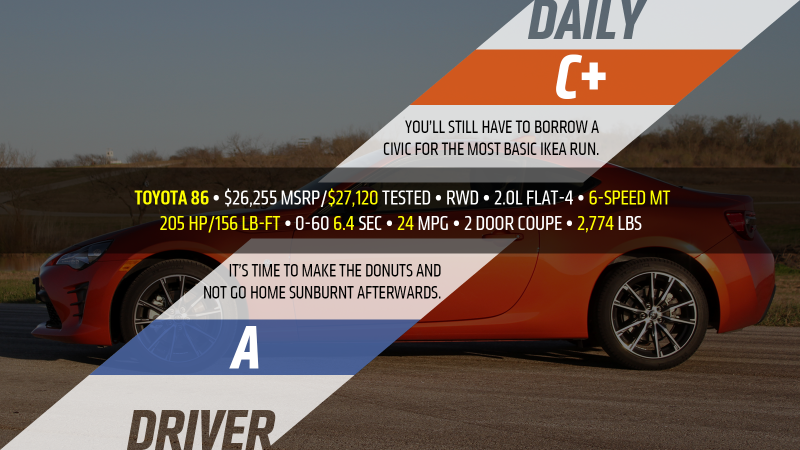 Maybe we can even find some local 86 enthusiasts to hoon around with—after all, sports cars love company. The Toyota 86 will definitely get a second generation, and it'll function as a way to offer customers a performance rung underneath the Supra in the company's lineup, according to Toyota Australia public affairs manager Brodie Bott in a discussion with GoAuto. 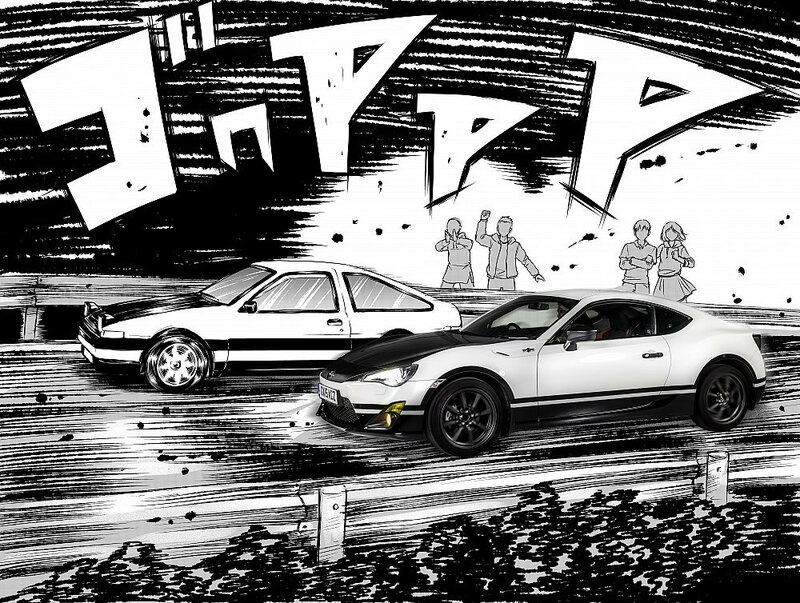 Last week, the Japanese magazine Best Car reported that Toyota and Subaru weren't replacing the 86 and BRZ. 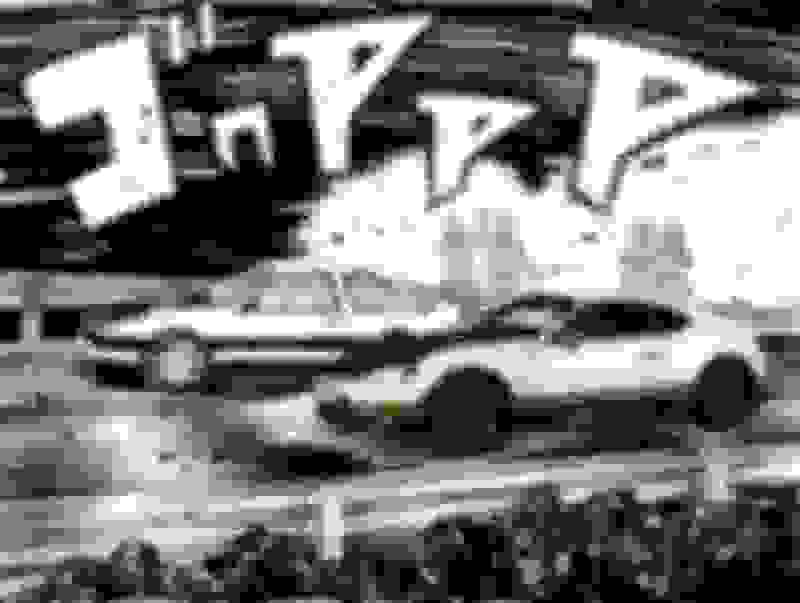 An American spokesperson made a similar statement assuring the 86's future to Motor1.com. "As Akio Toyoda said at the reveal of the 2020 Supra, Toyota is committed to building exciting vehicles, including sports cars. The 86 has been in the Toyota family since 2013 and the plan is that it will continue to be a part of Toyota’s sports car line-up," the company representative told us. 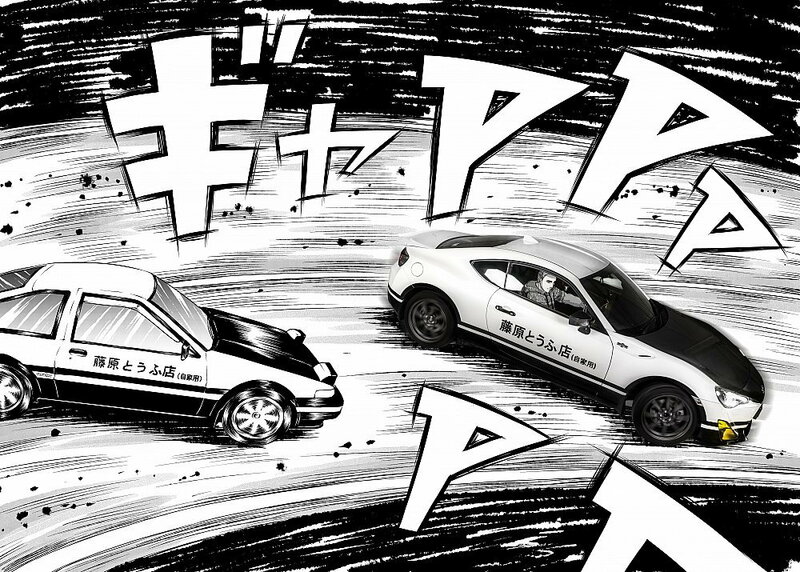 Rumors indicate that Subaru and Toyota are continuing their partnership for the new generations, and the debut could come as soon as 2021. Power reportedly comes from a 2.4-liter flat-four-engine, which might be a version of the turbocharged mill from the Ascent where it products 260 horsepower and 277 pound-feet of torque. The pair would also allegedly have a lower center of gravity to make them even sharper handling machines. Before the new model arrives, Toyota might give the existing 86 a farewell with a special edition model. A trademark filing suggests it has the GR moniker after the company's Gazoo Racing performance division. Son of a. 9 year model span and only a 5-hp bump.